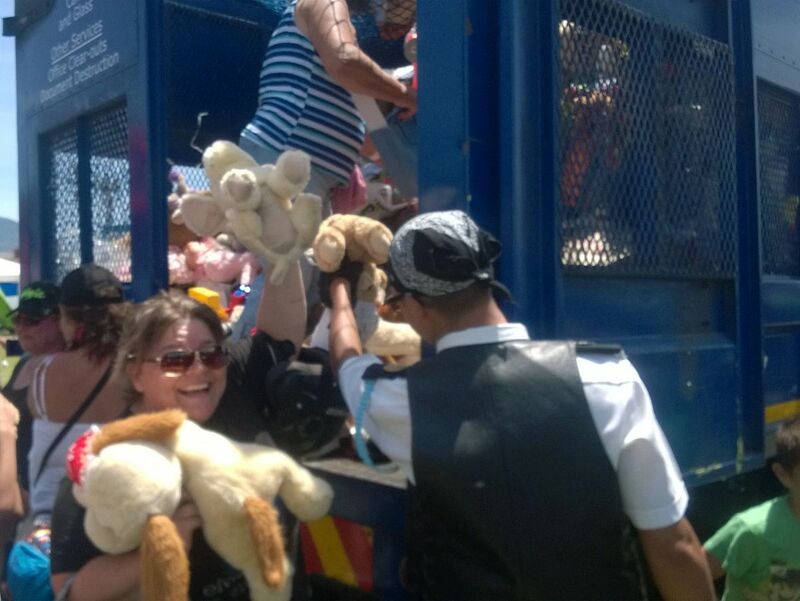 During November motorcyclists from all over Cape Town get together to take part in the yearly Toy Run charity event to make the holidays a little brighter for less privileged kids in orphanages, shelters, homes and hospitals throughout the community. 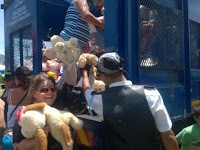 Our club members are in on the venture and provide baskets full of soft toys to Nicolette, our never-say-die vice-pres, who, in tandem with Elvis fan Sarlene, regularly participate in this exciting annual trip, adding their gifts to truckloads of toys for delivery to those who matters most, our children. During May 2005 and 2006 proceeds of our Rock 'n' Roll dance evenings benefited the No Limits Street Children Program, an independent outreach plan that provided a holistic service to empower and develop street children to reunite with their family or community of origin. No Limits worked with schools in the relevant areas to identify the high risk children who were not attending school regularly to address their problems and to offer guidance for the parents of these children. A big thank you to the line dancers for their support of our dance evenings. 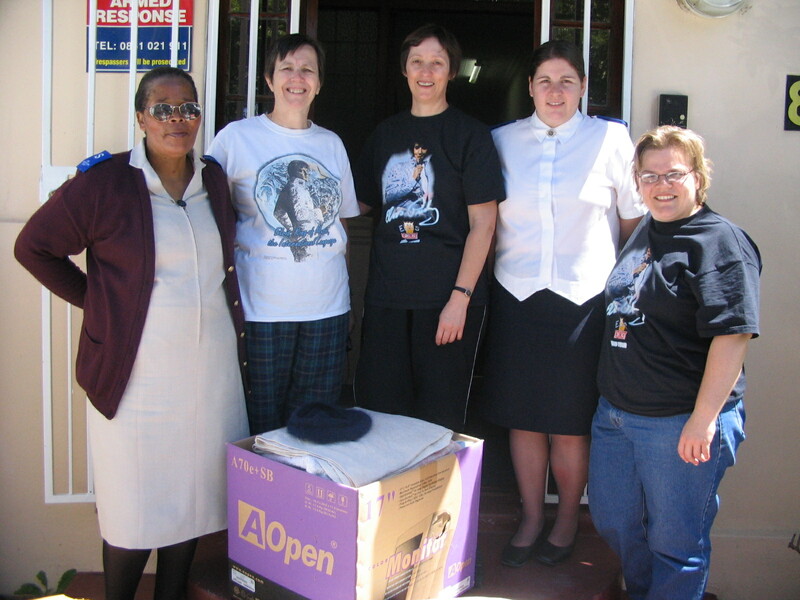 In 2006 we had a knitting marathon during which we finished armfuls of jerseys for HIV/AIDS babies in Tygerberg Hospital to help provide some needful warmth for the cold winter months. Thanks to all club members, family and friends who chimed in and knitted away. A special thank you to Ria and Sarlene for organising and delivering boxes full of jerseys and soft toys to the Tygerbear Social Work Unit for Traumatised Children and Families. Each year when spring cleaning our homes, we put aside everything we do not want and/or use that is still in working condition. Bags full of these articles are then donated to the Salvation Army to be distributed among people who loose their entire belongings during devastating disasters, such as fires and floods. A special word of thanks to W.P. Van Zyl for his loyalty to this charity drive, as well as to Amy Grainger for organising the collection and delivery of all donations. 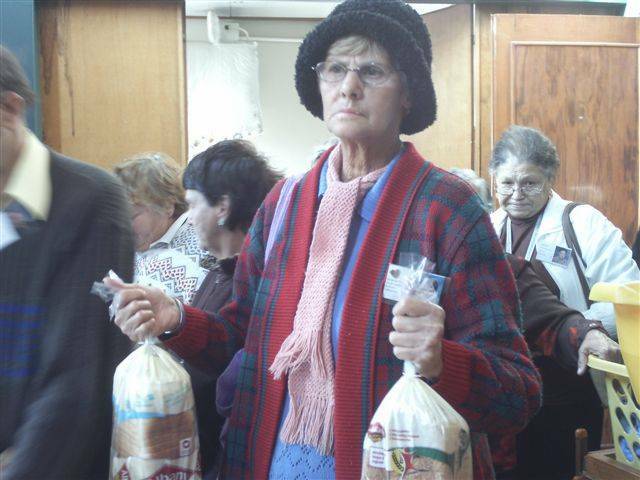 The Ruyterwacht Senior Centre provides 280 elderly and disabled members with 2 subsidised meals p.w. and run a 2-day soup kitchen for the area. 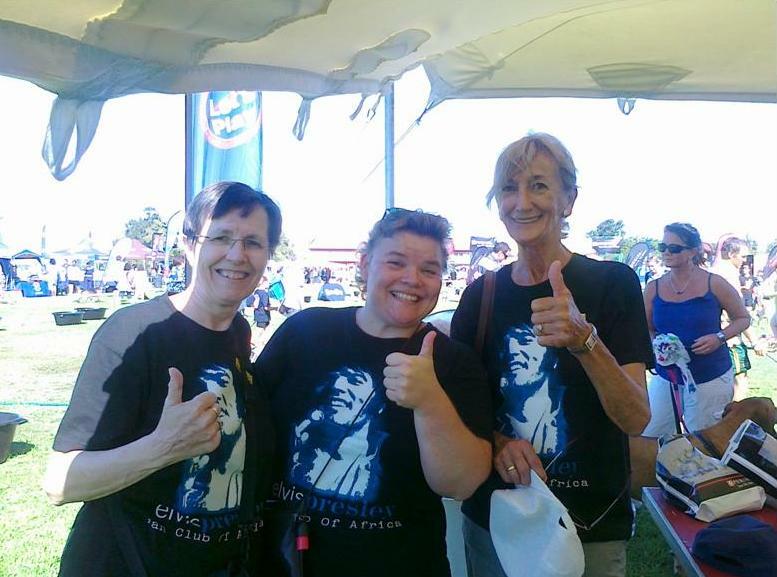 About 87% of Centre members receive a pension of less than R1300 p.m. which has to cover all expenses. 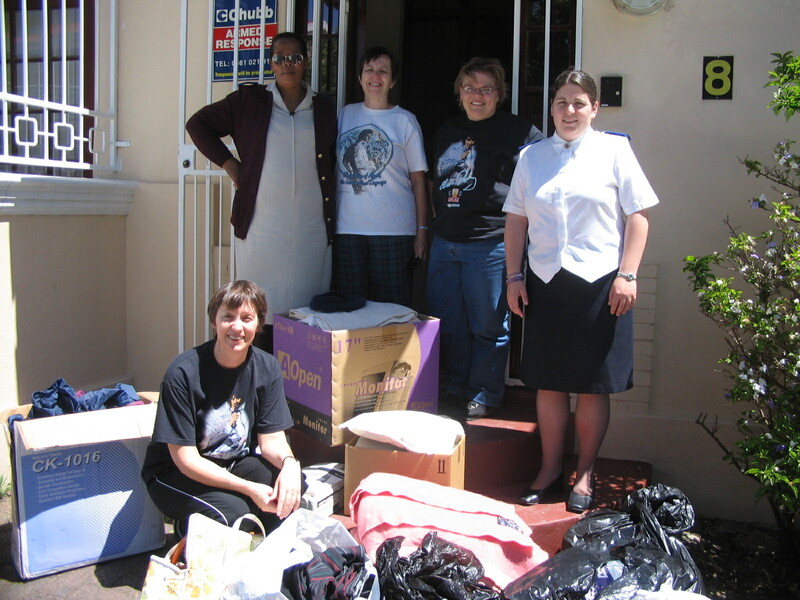 Every December when the Centre closes members are provided with Christmas hampers filled with necessities, to which the EPFCA contributed much-needed cleaning products in 2009-2010. 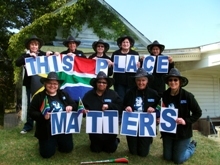 In 2011 we took on the challenge of the SPCA Wiggle Waggle for the Northern Suburbs. This annual 2-4 km walk usually starts at 9 a.m. and is attended by a good 1,000 people plus the same amount of dogs. Along the scenic country side lots of drink and cooling off water is available for the dogs. Afterwards everyone can sit in the shade to enjoy delicious picnic snacks. In the words of EPFCA member Amy: "This is my favourite charity. Animals cannot speak for themselves." 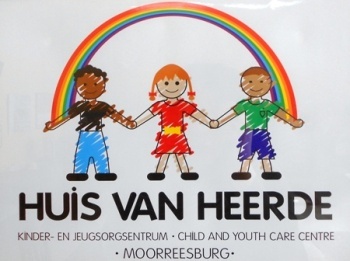 In 2013 we became aware of the many needs of the Huis Van Heerde Children's Home in the picturesque town of Moorreesburg, an hour away from Cape Town. We received word from one of our EPFCA friends that this worthwhile charity would no longer receive any financial support from the government, and as such it became the focus of our Annual August Charity Drive. The 50 children in this home are 0-18 years old and in need of care mainly due to neglect because of alcohol and/or substance abuse and/or sexual and/or physical abuse by the primary caregivers. As Huis van Heerde is in need of any kind of contributions, our members pooled together to present the home with armfuls of clothes, books and toys. 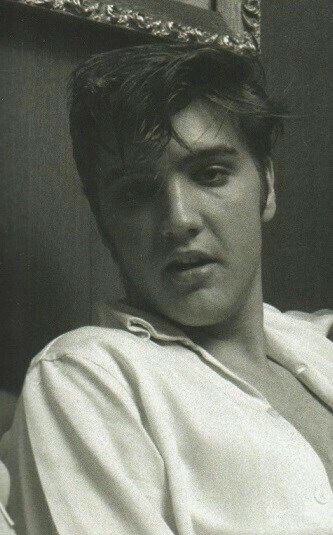 On 9 February 1967 Elvis bought Twinkletown Farm, renamed it to the Circle G Ranch and for a short while lived a normal and laid-back life like a cowboy. 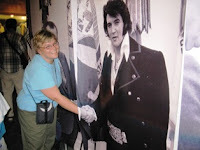 In 2010 UK fan Lesley Pilling found the Elvis-related features on the ranch - the Honeymoon Cottage, Bridge, Cross and Bar-B-Que - in serious dilapidated condition and started the Friends of Elvis - Save The Circle G Campaign. Fans from around the world, also the EPFCA, took hands and worked together to accomplish our goal of saving the ranch. In 2014, at long last, a group of investors from Real Estate International bought the ranch and into our vision, and is currently in a process of restoring and preserving the Elvis-related features. Our dream has come true!